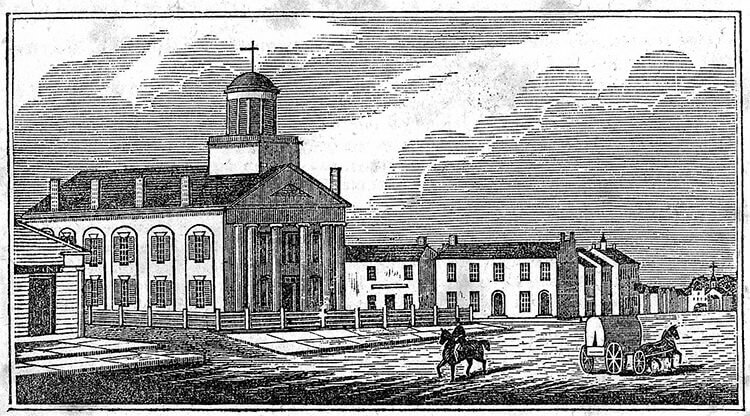 Buildings often change their occupants with the times. The original Smith Family Foods building at 62 N. Monroe Street is located in the Fort Ball Historical District and was part of Tiffin’s history for generations. It was the site of Capital Foods and served as a distribution center for families impacted by the devastating flood of 1913. In the 1930’s and 1940’s it was a box and wagon factory and feed store for animals. In the mid 1940’s before the advent of home freezers, Seneca Labor Services rented 1,500 3 ft. x 4 ft. food storage lockers located inside the main freezer of the building. 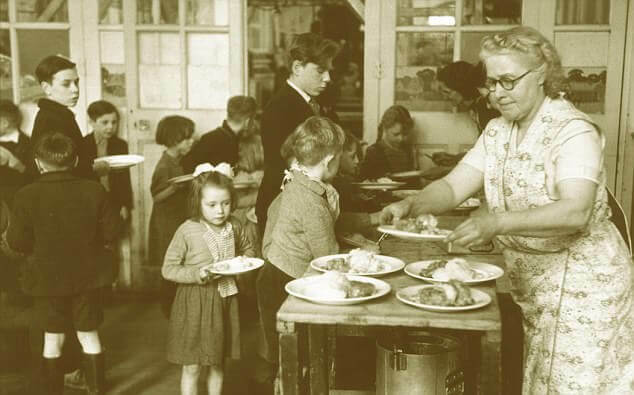 Each locker was numbered and keyed and, throughout the week, as individuals needed food for their daily use, they would come in, open their locker and take what they needed for their family meals. In the 1950’s brothers Dan and Daryl Orwig operated Frosted Foods from the building. At that time they sold only frozen foods to restaurants from a peddle truck (no advance orders, just pick from truck inventory) and also to walk-in trade from the store front. George Sauber purchased the business in 1981 and in turn sold it to Fritz and Sue Smith in 1984. They renamed the business Smith Family Frosted Foods and for Fritz it fulfilled a lifelong dream of owning his own business. “With five kids I couldn’t think of any better business than the food business, we will always have something to eat,” Smith said. After a few short months Fritz and his dedicated team implemented many changes at the business. They became a State-inspected fresh meat processing facility. He also changed his sales and delivery approach from peddle truck to a pre-sale system, the norm in today’s food service world. In time he expanded the product offering and doubled the size of the delivery area. Retail customers could purchase fresh fish and meats from a case in the front of the building. 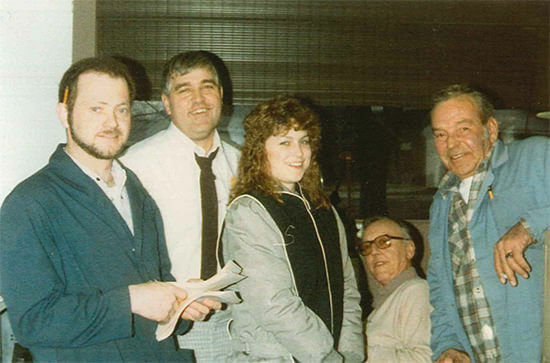 In order to service an increasing walk-in customer trade, in 1987 Sue and Fritz moved the retail store front from Monroe Street to 300 S Washington Street and named it Surf ‘n Turf Specialties. This retail store became Sue’s passion and provided quality food for home dining to her many customers. Sue and Fritz retired and sold the store in 2007. All of the Smith kids helped in the business throughout their high school years. After college Aaron and Alex returned to the business full time to help grow the company. In 2007 Aaron and Alex bought the business from their parents and in 2009 moved from the 62 N. Monroe Street building to their present facility at 1773 West County Road 54. 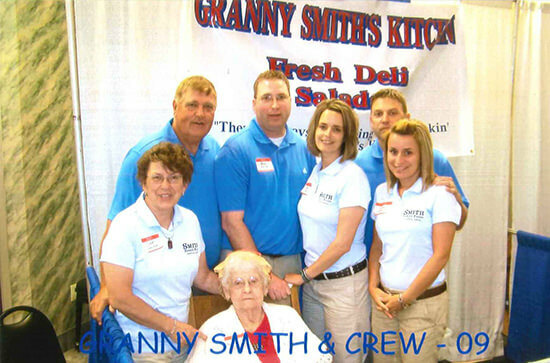 The name of the business was shortened to Smith Family Foods to reflect the expanded product lines, offering far more than just frozen items. With the move to the new facility Smith Family Foods upgraded from a State-inspected to a USDA Federally-inspected meat processing facility and has increasingly expanded the number of items produced in-house to include: Fresh and frozen hamburger patties, Chopped Steaks, Breaded Veal, Breaded Chicken Tenders, Breaded Chicken Chunks, Fritz’s Special Bratwurst Links and Patties, Granny Smith’s Fresh Deli Salads and Bratworks Branded Bratwurst, to name a few, as well as their traditional custom-cut steaks and chops. Please see the product tab for a full listing. Over the years Fritz, Sue, Aaron and Alex have attributed the success of the business to their loyal employees and loyal customers. “Family” is not just a word in the name but part of the day-to-day philosophy that drives the business. Quality products, family values and exceptional service along with competitive pricing are the building blocks that will guide this family business into the next generation. If you are a long time customer reading this, thank you for your continued support. If you are a prospective customer, we look forward to making you feel like one of the family. Give us a call at 419-447-5382 and we will address all of your food service needs. “Your Total Food Service Partner”!